I was able to see an Aberdeen IronBirds game for the first time in 4 years. It’s a very nice stadium and since they were having fireworks, the game was a sellout. 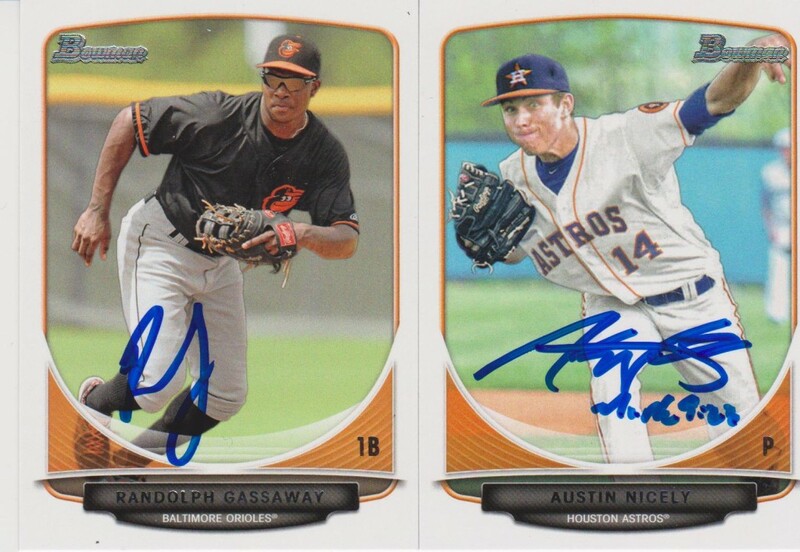 I was able to get two autographs at the game from Aberdeen LF Randolph Gassaway and Tri-City P Austin Nicely. I was surprised that there weren’t as many autograph seekers at this game as I normally see. But at the lower levels, there aren’t as many since the players are generally more unproven. The game was pretty good as Tri-City P Trent Thornton went 5 innings without giving up any walks or earned runs. Tri-City 1B Pat Porter and 2B Brooks Marlow added home runs as the ValleyCats won 5-1. I did see 2015 Orioles first round pick (25th overall) D. J. Stewart in this game going 2-4 with a double. This entry was posted in Autographs, Ballpark Quest and tagged Aberdeen IronBirds, Baltimore Orioles, Houston Astros, mike mccann, minor league baseball, minorleaguesource.com, quest to visit every major and minor league ballpark, Tri-City ValleyCats. Bookmark the permalink.